Operation Lena and Hitler's Plots to Blow Up Britain. Bernard O'Connor. Amberley Publishing. 2017. I bought this book last year with excitement. I knew a bit about some of the sabotage plans concocted by MI5 using their double agents (G.W., MUTT & JEFF, ZIGZAG) and was intrigued to learn more. I am also always interested in anything to do with Operation Lena. I really wanted to like this book, but after I bought it, I flipped through some of the sections pertaining to Josef Jakobs and the other Lena spies and... I put the book down in frustration. Where to begin. There is no doubt that the author has tried to present a comprehensive overview of a very complicated topic. He admits that providing a detailed account has been a challenge and that this book is "more the work of an archaeologist than a historian". Reading this book did feel a bit like watching someone present every fragment of information that they have dug up during their years of research. Unfortunately, there was very little continuity or context for much of what was presented. I found the narrative exceedingly difficult to follow. On any given page, the author might refer to events in 1938, 1945, 1942 and then 1939. The book could have benefited from some front matter, namely a list of abbreviations and a cast of characters. The index has some holes - for example, there is no mention of Jakobs, Josef. The author's reliance upon Wighton & Peis and Farago meant that I had to read the book whilst constantly flipping back to check the endnotes. I kept wondering, was this information based on a primary source or a questionable secondary source? The author also relied on many websites for his material (e.g. information on Dorothy P. O'Grady from h2g2 Hitch-Hikers Guide to the Galaxy: Earth Edition). This too is fraught with danger. In my research into Josef Jakobs, I have come across many, many websites, most of which contact inaccurate information. There is also the glaringly inaccurate account of agents "Hans Schmidt" and "Jorgen Björnsen" supposedly parachuted into England in the summer of 1940... according to Wighton and Peis. The author has treated Wighton and Peis's account as if it were accurate when it is most likely a garbled version of Wulf Schmidt and Gösta Caroli. As mentioned earlier, while an entertaining read, Wighton and Peis are not a source of accurate information. 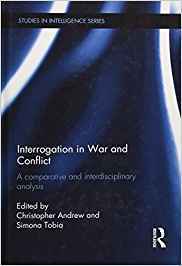 p. 27 - in relation to spies sent to Camp 020 - "enemy agents who refused to collaborate were tried under the Treason Act, found guilty and executed at the Tower of London and later at Pentonville Prison". Inaccurate. Spies were tried under the Treachery Act (1940) and only one was executed at the Tower of London, whilst others were executed at Wandsworth and Pentonville prisons. p. 35 - Neville Chamberlain demanded Kell's resignation and rush through amendments to the "Defence of the Realm Act". Inaccurate. I believe it was Churchill who demanded Kell's resignation. The Defence of the Realm Act (DORA) was from World War I. During World War II, Great Britain had the Defence Regulations and the Emergency Powers (Defence) Act (1939). p. 63 - "was on 22 October 1940, eight weeks after the start of the war". Inaccurate: I believe the war started in September 1939, not 1940.
p. 72 - "Professor Charles Andrew". p. 109 - Treachery Act passed on 23 March 1940. Inaccurate. Passed on 23 May 1940.
p. 112 - Schmidt taken to the London Cage. Inaccurate. Schmidt was taken to Camp 020 where Lt. Col. A.P. Scotland from the London Cage roughed him up. p. 113 - Caroli was awarded Iron Cross and transmitted to end of war, etc. Inaccurate. It was Schmidt who was awarded the Iron Cross as double agent TATE and transmitted to the end of the war. p. 228 - Barton earned a Kriegsverdienstkreuz - which the book translates as War Medal Cross. Inaccurate. It should be War Merit Cross. 33. Wighton and Peis, op.cit. 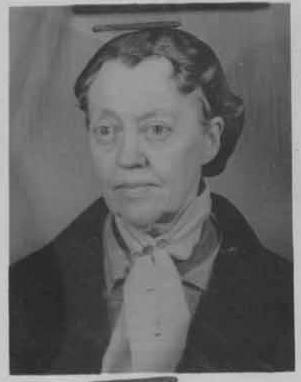 p.276. 35. Ibid, 26 September 1945. Endnotes 31 and 32 would seemingly cite the preceding endnote (30) except for the fact that the format is different. Endnote 30 cites a book with a page number, whereas 31 and 32 cite a date which would seem to indicate reference to a KV file (see endnotes 36-38). A similar issue arises with endnotes 33-35.
p. 108 - the four spies who landed in Kent had "identification papers with the triangle on them that SNOW had given the Abwehr, thus proving they were German agents"
p. 118 - Eriksen and Druecke were found "carrying forged identity and ration cards with the red pyramid that SNOW had recommended the Abwehr add to their documents"
I have never come across any reference to the above two statements and the author provides no source citation. The only reference to red pyramids that I have come across is in the MUTT & JEFF files. If the information on pages 108 and 118 is accurate, and SNOW/MI5 did initiate a red pyramid scheme earlier, it would be quite a startling revelation and worthy of more than a few lines. Although, in TNA KV 2/12, Kieboom criticized the Abwehr for not providing them with any identity cards which calls into question the above statement from p. 108. The author references many intriguing stories about sabotage (e.g. p. 138) but it is difficult to assess the accuracy of such accounts given their reliance on secondary sources. For example, he mentions that after the crash of a Mosquito aircraft from RAF Banff, an inspector "working at one of the Mosquito shadow factories had links with the IRA. He was arrested and shot for sabotage". The reference cited is: Andrew Bird, A Separate Little War (Grub Street, 2003, p. 113). Having never come across any reference to this execution by firing squad, I am a bit leery of taking it at face value. 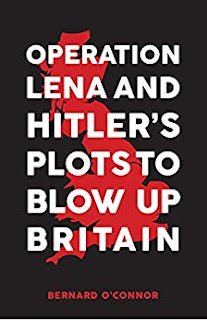 Similarly, the author cites an account from Juliet Gardiner's Wartime Britain 1939-1945 which mentions that "in 1942 a Birmingham woman was convicted of sabotaging munitions for aircraft which would have exploded immediately on firing." This may be a reference to a story included in The Prosecutor by Allen Andrews (1968), an account of the life of prosecuting solicitor M.P. Pugh. The woman (and her boyfriend), although charged with tampering with munitions, were ultimately only convicted of stealing a cup and saucer from the canteen at Kynoch. I have not, however, come across any primary sources that confirm the account in The Prosecutor so, while an intriguing story, it must remain on the sidelines. It would also have been most helpful if primary sources from the National Archives were cited in such a manner that other researchers could review them. Rather than simply citing "TNA KV 2/2822" cite the reference as completely as possible, "TNA KV 2/2822, no. 18a, 18/10/1943, report by Stephens to White". As it is, the author had an intriguing reference to Josef Jakobs in his section on Josef Starzincky [sic] on page 171. The only citation for the entire paragraph is KV 2/546, 27 November 1945 which refers to the case of the crew of the M.V. Josephine. I couldn't find any reference to "Starzincky" [sic] in the National Archives, but after a few wildcard searches, tracked down KV 2/2844 and KV 2/2845, the two files on Josef Starziczny. I will now need to sift through both files searching for the exact source of the Josef Jakobs reference. Returning to the author's assertion that the book is "more the work of an archaeologist than a historian", it would have perhaps been helpful for the author to create a clearer distinction between information gleaned from primary sources versus that has been passed on from secondary sources. I know from experience how challenging it can be to write a book when one has so much research to incorporate. I would suggest that this book would have been much better had the accounts from secondary sources been relegated to the Notes section. Weaving the two types of sources together leaves the reader wondering what is fact and what is fiction. I also think the author's attempt to arrange the book chronologically is rather like trying to fit a square peg into a round hole. It might have been better to focus on the major sabotage schemes (e.g. G.W., MUTT & JEFF, ZIGZAG, etc.) without presenting, in excruciating detail, all of the minor schemes. I think this book could be a valuable addition to the tale of Second World War espionage/sabotage, but it needs some tidying up. 2 out of 5 - I did learn some things and found a few intriguing primary source references which I'll be consulting. Unfortunately the author's tendency to give equal weight to primary sources and questionable secondary sources leaves the reader questioning the accuracy of the entire book. I am always intrigued to see how MI5 handled the espionage cases, how they decided whom to prosecute and whom to intern for the duration of the war. The story of Gösta Caroli is particularly intriguing because of his great attempt at escape in January 1941. 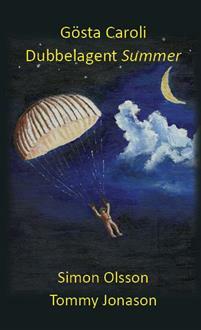 Caroli landed in England via parachute in September 1940. He was quickly captured and after being promised the life of his friend and co-spy, Wulf Schmidt, agreed to work as a double agent. After some hiccups, and an attempt at suicide, Caroli ended up sequestered in an MI5 safe house, The Old Parsonage, in the village of Hinxton, south of Cambridge. Caroli's psyche, however, did not fare well during his confinement. Even with Schmidt's visit for Christmas 1940, Caroli sank further into moodiness. Finally, on 13 January 1941, he snapped. There are two rather lengthy accounts of what happened, one from Caroli's guard, Paulton, and one from MI5's Regional Security Liaison Officer in Cambridge, Major Dixon. Caroli's file at the National Archives is very slim, and much has been retained by the Security Service, although it does contain Dixon's account. Paulton's account is included in Guy Liddell's diaries. On Monday afternoon, 13 January at about 2.30 p.m., I was sitting playing a game of double patience [solitaire] when Caroli suddenly attacked me. He sprang at me from behind and with a piece of rope about 20" long tried to garotte me. I naturally struggled with him, but he is a much heavier and stronger man than I am and I was unsuccessful. I eventually succeeded in throwing myself sideways and we fell on the floor in front of the fireplace, still struggling. Still holding the rope like a pair of reins he got his knee into the small of my back and told me not to struggle. As I felt exhausted, I lay still for a moment - everything had momentarily blacked out - and as he tied my hands behind my back he said that "he had to do it although he knew it was a hanging job but he could not go on". He expressed regret for his treatment of me and said I would only have to wait until 6 o'clock until someone we were expecting would return. I told him that I could not lie tied on the floor all that time and asked him to put me on the chesterfield. He agreed and helped me over to it. With two other pieces of rope which he produced from his pockets he then tied my ankles and a longer piece was fastened around my upper arms. I was in an uncomfortable position on the chesterfield and I asked him to put a pillow under my head - this he did. He then proceeded to empty my pockets. From my right hand trousers pocket he took some small change and my keys, from the left pocket a rosary, a couple of coins, a medal and a small penknife, together with a broken box of matches. He put the small change in his pocket and put the rest of the things on the table which was quite near the chesterfield. From my inside pocket he took a wallet and a black pencil. He glanced through the wallet and thrust it in his pocket, having taken from it his own identity card and seaman's book, as well as my identity card. I told him that it only contained personal things so he took it out again and threw it on the table. He took several things from my side pockets and after glancing at them threw them on the table. Taking my keys, he asked which was the key of the desk in the study. I told him and he went into that room spending some time there. He apparently opened the safe and finding an envelope in my petty cash book - in the drawer in the safe - with about £5 in notes took them. He also took the two crystals which were kept locked in the safe. He went through the desk but I do not think he took anything. The things taken from the safe I discovered afterwards of course. He returned through the dining room and the lounge and shutting both doors went out. He was gone some time in the kitchen and then went upstairs. Shortly after he went out the telephone in the study rang - the bell is in the hall - and I called him but he ignored it. A little later he came down with his suitcase and going back to the study collected all the maps which we had. In the lounge he took another map and my torch. He also came over and tore my wrist watch from my wrist as he could not undo it. In a drawer I think he found a child's compass. He took the case out into the kitchen and collected a number of tins of things (two sardines, one pilchards, one pears and one pineapple). He also collected a piece of cold beef which was in the larder and three boxes of matches. He had previously taken one box of 50 Gold Flake from the lounge which I had given him that morning, and another box of 50 Players from the top of my desk in the study. He returned in a short time with a couple of dirty handkerchiefs and told me that he would have to gag me. I told him that it was not necessary and that I could hardly swallow and asked him to fetch me a glass of water. He went out and got one and helped me to drink. He then went out shutting the doors. I lay still for some time and later heard him go out to the kitchen. After that all was quiet. I could not be sure that he had gone but I thought I would take a chance so I wriggled off the sofa and stood upright on my feet. I forgot to mention that before he put me on the sofa which stood across the French windows he had closed the shutters. In the half light I could see the electric clock and I think it was ten to three. I spotted my penknife on the table, and after groping behind my back, having first to shift the glass of water, I succeeded in picking it up. As I thought I heard a sound outside I threw myself back on the sofa with the knife, which I had succeeded in opening, still in my hand. As I heard nothing further, I set to work with the knife and after a struggle succeeded in cutting my wrists free. I then cut the rope from my ankles and around my arms. I listened carefully and then crept into the study and at 3 o'clock dialed Major Dixon at Cambridge and reported the escape. I asked him whether he would advise London or whether I should do it and he asked me to report to H.Q. I passed the call and waited by the phone. Just as the exchange rang to give me the call, Caroli passed the window outside pushing Williams motor bike, which he had started up, and carrying on his back a canvas canoe. I grabbed the receiver from the instrument and put it down on the desk, while I crouched down. Caroli tried to start up the motorbike with the boat on his back, but he was having some trouble. I read the number of the bike, CXP 654, and jotted it down on a slip of paper on the desk. I also noticed that he was wearing Williams leather coat and that his case was strapped on the back on the bike. He was still having trouble and I was afraid he would come back in the house for something. Meanwhile the phone was ringing silently in front of me. He then proceeded to tie the boat on somehow on the side of the bike and at 3:25 made off slowly down the drive. I waited a moment or so in case he returned and then put a call through to London and reported the escape to Mr. Marriott at 3:30. At 3:35 Major Dixon arrived and we set off in pursuit." Here is the story of Caroli's attempt to escape, from my point of view. 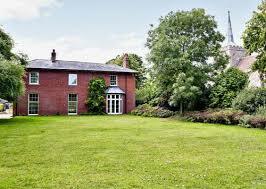 I said I would go over at once to Hinxton, my object being to get a few particulars about how Caroli was dressed etc. In the mean time I told him to get through himself to Tar Robertson and tell him what had happened. My departure from the office was slightly delayed and I only arrived at Hinxton at 3:40 p.m. Paulton was there, and rather shaken by his experience. Caroli had apparently attacked him from behind, and put a rope round his neck and then tied him hand and foot and put him on the sofa. He had emptied his pockets, closed the shutters, and gone upstairs to collect things; he had then gone out of the house. Paulton in the meantime had noticed a knife on the table, which he was able to get to and cut himself free. 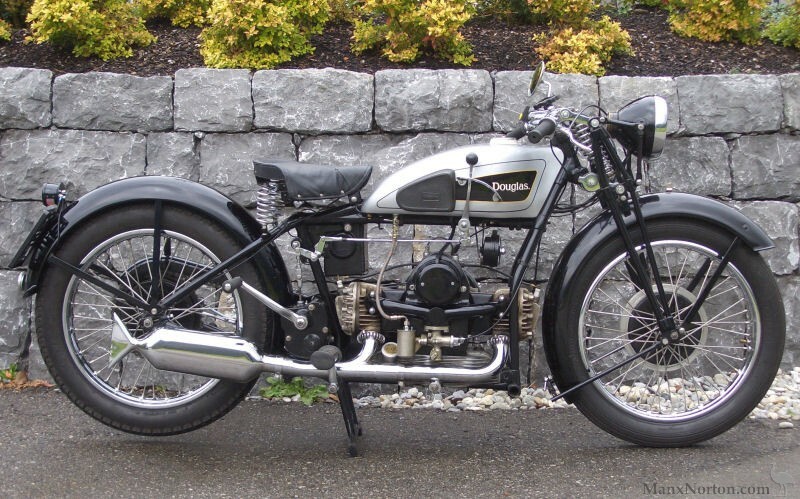 He had immediately got on the telephone to me, and after having spoken to me he spoke to Robertson, and while he was speaking to Robertson, Caroli went past the window on Williams’ Douglas motor-cycle, with a suitcase on one side of it and a 12 foot canvas canoe tied to the other side. This shook Paulton slightly as he thought that Caroli had left sometime ago. On my arrival I got a full description from Paulton of how Caroli was dressed etc., and telephoned this back to my office in Cambridge, so that the Police of Essex and Hertfordshire could be warned to look out for him. We discovered that Caroli had turned South outside the grounds, so Paulton and I got into my car and did the same. At the first cross-roads we met some road men who stated that they had seen a man on a motor-cycle carrying a canoe turn left down the Newmarket Road. We proceeded till we got to Pampisford Station, where we met Mr. F. Brown, a road man of Pampisford, who said that he had seen the man on the motor-cycle with the canoe – in fact he had seen a lot of him, because the man on the motor-cycle had fallen off just by him and he had helped the man to throw the canoe over a hedge. We verified this, Paulton recognizing the canoe as one that had been in the garage at Hinxton. We then continued straight on to Newmarket, and in the middle of the town we saw the Douglas motor-cycle that we were looking for, being about to be ridden away by a man. I got out and recognised a Detective Constable of the Newmarket Division of the West Suffolk Constabulary, who stated that a man had just come into the Station and given himself up, and he had come down from the Station to collect the motor-cycle, which the man said he had left in the main street. We proceeded to the Station and there found Caroli. They had searched him and made a list of the possessions that were found on him. They had not opened his suitcase and I asked them to refrain from doing so. I signed for his possession, and took them and the suitcase and Caroli back to to Cambridge County Police H.Q. at Castle Hill Cambridge, where he was again searched and locked up. When I was at Newmarket Police Station I succeeded in getting through to my office in Cambridge and making arrangements for the hunt to be called off. The only people who had been asked to look out for Caroli were the Chief Constables of Essex, Hertfordshire and the Cambridge Borough Police. Fortunately no express message had been sent out. At Marriott’s suggestion I took Paulton to see Dr. (redacted – possibly Dearden of Latchmere House – given the length of the redaction and MI5s tendency to redact anything to do with the place), who examined him and found him to have marks round neck, wrists and ankles which he said would be consistent with being assaulted and bound. One has to feel a bit sorry for Caroli - trying to escape on a motorcycle with a suitcase on one side and a canvas canoe on the other side. Not exactly incognito. And from Dixon's account, it's clear that a lot of people took note of the strange sight and were able to guide the pursuers in the right direction. It's also pretty clear that Caroli turned himself in at the Newmarket Police Station. He wasn't shot in the legs, nor was he apprehended by a cordon of police. Liddell notes that Caroli fell off of his motorcycle in Newmarket, likely one of several falls. He must have realized the futility of his escape and decided to give himself up to the police. Dixon's account is quite helpful as it provides some concrete geographic markers that we can use to trace Caroli's escape route. 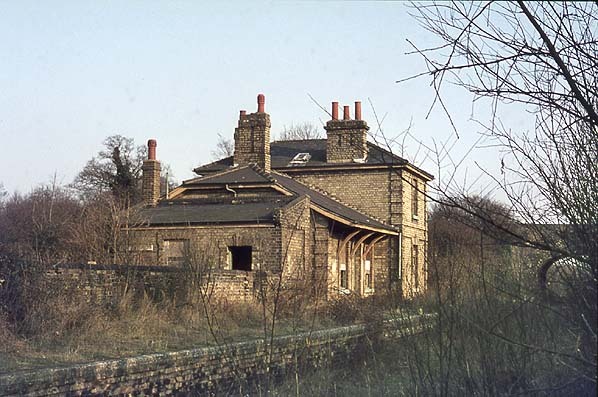 While some authors have indicated that Caroli was held at The Grange, earlier entries in Liddell's diary clearly indicate he was held at The Old Parsonage. I used a Google Map to add Caroli's escape route (in yellow). At the end of his 13 January diary entry, Liddell noted: "Clearly Caroli can never be allowed to use his wireless transmitter again and he will have to remain under lock and key". Would it just be lock and key though? Or would MI5 decide that Caroli had broken his agreement to cooperate and decide to prosecute him under the Treachery Act? We had a long discussion this morning about Caroli's future and that of the other people with whom he has been associated. We have all come to the conclusion that somehow or other Caroli must be eliminated. This is not however an easy matter. In the eyes of the Germans he is known to Mac [Sam McCarthy aka BISCUIT] and he has also been in touch with TATE [Wulf Schmidt]. Through Mac he is known to SNOW. If therefore we report that he has been captured the Germans may think that the whole organisation has been compromised. Various ingenious suggestions have been made. The best I think is that Mac should report that SUMMER [Caroli's double agent code name] is on the run that he has put his wireless into the cloak room at Cambridge, and sent the key to Mac. Later we could say that he has been picked up by the police for failing to register and later still SNOW can put forward another candidate who will use his set. It was a tricky situation. If MI5 prosecuted Caroli and executed him, word would reach the Germans, and they would naturally suspect the other spies with whom Caroli had had contact. The double-cross house of cards might come tumbling down. The ultimate decision was to detain Caroli for the duration of the war. He was sent back to Sweden after the war. Super-excited! A book on Vera Eriksen is coming out February 2019 by a friend of mine, David Tremain. It is also being published by The History Press (publishers of my book on Josef Jakobs). Often described as ‘the most beautiful spy’, Vera Eriksen could almost rival First World War spy Mata Hari and the various ‘Bond girls’ who followed her. 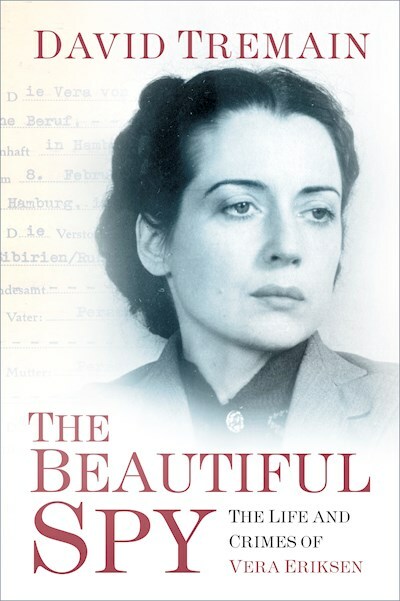 Perhaps the archetypal ‘femme fatale’ of the Second World War, her story is less well-known than it should be. Like most spies, nothing about her background is clear-cut, or straightforward. Many of the facts surrounding her life are contradictory; some are speculation, or simply fantasy; the rest have been expunged from her files, and few can be verified absolutely. The reasons why have remained hidden to this day and may never be uncovered. Yet in spite of her alleged involvement in espionage, she was a somewhat tragic figure who was yearning for a lost love. When she set out on her spying mission in September 1940, the love of her life had just been killed. It is a story shrouded in mystery and intrigue, and clouded by the mists of time. Even her fate at the hands of British Intelligence was contentious. We will probably never know who the real Vera was or who she became in later life. It suited her to be enigmatic – and that is the way she will remain. Vera was one of the spies who landed on the Banffshire coast in late September 1940. She was accompanied by Karl Theodore Druecke and Werner Walti (likely an alias). The three spies were apprehended quickly and send down to Camp 020 for interrogation. While Druecke and Walti were hanged at Wandsworth Prison on 6 August 1941, the fate of Vera remains a mystery. Was she repatriated back to Germany at the end of the war? Did she die there a few years later? Or was she given a new identity and sent off to the Isle of Wight to live her life in obscurity? Can't wait to read this book! It's going to be released 1 February 2019 in the United Kingdom... which means it might make it across the Atlantic by the summer of 2019. Andrew Sparke, from APS Publishing, has set up a website for all things Bella-related. He admits it's a bit "content light" at the moment, but hopes to have more content as things move along. There seem to be some broken links at the moment, but I imagine they'll get fixed soon. I was in London in February 2018 for a spot of filming for the Bella episode. Looking forward to seeing the final production! I recently heard about a book by Leonard Mosley entitled "The Druid". Written in 1981, it tells the tale of Welshman Gwyn Evans who, as an undetected spy of the German Abwehr, apparently betrayed the Dieppe Raid in 1942. In his book, Mosley also claims that double-agent Gösta Caroli was condemned to death and executed. I came across a 2009 forum discussion on ScanGen (Genealogy in Scandinavia) which mentioned Gösta Caroli and, after heavy use of Google Translate, along with some reference to the Swedish Ancestry site, I've stitched together the following. and his father, Claes Alfred Caroli was Vicar from 1901. 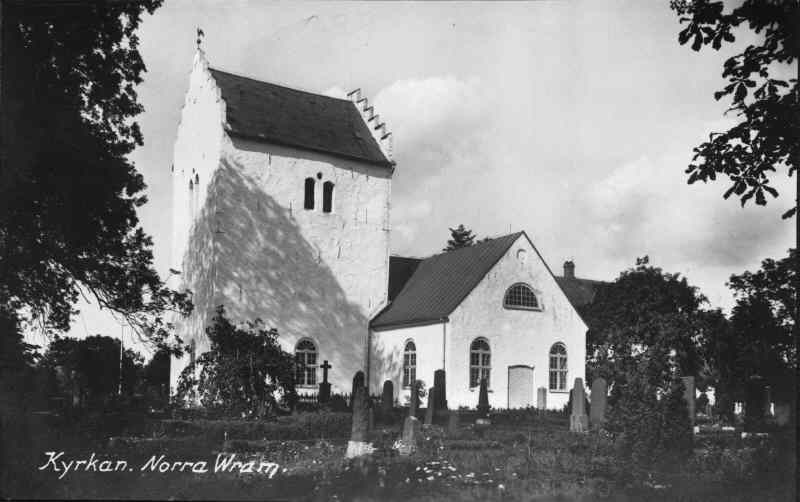 In the late 1800s, in Sweden, one Claes Alfred Caroli (born 2 May 1862 in Fellinsbro - died 15 June 1933 in Norra Vram) married Anna Berg (born 11 May, 1865 in Tärby). In researching this article, I was really only trying to establish what became of Caroli after the war but... his pre-war activity was just too fascinating to pass up! Particularly as it involves trips to Canada... and my own home province of British Columbia. It would appear that Caroli, between 1924 and 1929, spent a lot of time shuttling back and forth between Sweden, Canada and the United States. He may even have become a Canadian (perhaps landed immigrant), although the evidence is not 100% clear. The following is based primarily on passenger lists and immigration records, which are fragmentary. On 4 March 1926, Caroli boarded the RMS Ausonia (Cunard Lines) in Southampton, England bound for Halifax, Canada. A couple of years later, he was again traveling from Europe to Canada. This time he arrived in Halifax on 12 March 1928 aboard the SS Thuringin. 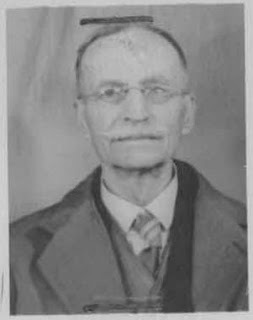 In response to the Canadian authorities, he stated that he had been in Canada before, from March 1924-November 1927 at Quilchena, British Columbia. He could speak Swedish, German and English and, while his nationality was Swedish, the form listed him as a "Returned Canadian" and noted that his passport had been issued in Montreal, Quebec. He gave his occupation as farmer and stated that his final destination was Lake View Fox Farm at Quilchena, B.C. He may have taken a circuitous route to Quilchena via the United States. There is a record of him crossing from Canada into the United States in 1928 (but no details). Several months later, on 6 June 1928, he crossed back into Canada, this time from Oroville, WA, bound for Quilchena. He stated that he was visiting his friend, W. Crompton, and that he was enroute back to Sweden. He must have returned to Sweden quickly. By 28 October 1928, he boarded the SS Albert Ballin in Sweden, bound for Canada (with a stop in Hamburg along the way). By 27 February, 1929, he was back on the Continent once again bound for the Americas. This time, he boarded the SS Berengaria in Cherbourg, France, bound for New York. In May 1929, he departed New York (having been in Winnipeg, Manitoba) for Sweden (Gothenburg). His ultimate destination was Helsingfors in Sweden. Room^ 846. It's likely meant to be: "Somerset Block, Room 846". Somerset Block was a multi-story building in downtown Winnipeg (294 Portage) that housed offices. Caroli was traveling inland on the CNR (Canadian National Railway). It's pretty clear that Caroli traveled back and forth between Sweden and Canada. Whether he took on Canadian citizenship is unknown. He would appear to have been a dealer in foxes and fox fur pelts. He may have brought breeding pairs from Sweden to Canada, or vice versa. 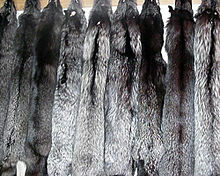 Within Canada, Prince Edward Island, Manitoba and the Nicola Valley (British Columbia) all had a thriving fox fur industry in the 1920s and 1930s. I found numerous online references to fox farms in the Nicola Valley (in which Quilchena was located). I even found a reference to William Crompton, a well-known fur farmer in the area who passed away in 1947. Crompton was likely the "friend" that Caroli was visiting in Quilchena in 1928. Another industry that is fast becoming an important factor in the economic life of the valley is that of Fox Farming. Starting on a small scale in 1921 with sixteen pairs of the best variety of silver foxes the "Merit Fox Ranch" operated by J. J. Gillis has now in the neighbourhood of three hundred animals in pens that cover almost two acres of ground. The farm is ideally located in the foothills two miles east of the city at an altitude where the winter temperature is just right ofr the production of the finest fur. Plant and animals together represent about sixty thousand dollars in value. Messrs. Charles and Edgar Collett are in charge of the farm. The other breeders in the district are A.E. Axton, W. Crompton [emphasis added], J. Guichon, Mrs. Marshall, Isaac Millar, Mrs. Eric Gavelin, all of whom are having good success. Merritt is headquarters of the B.C. Fox Breeders Association. One fox farmer near Merritt is realizing $20,000 from a twenty-pair shipment to Sweden. Another fox breeder, the mayor of Merritt and M.L.A. for Yale, is shortly to ship thirty pair to France. It is evident that the market is world wide. Caroli was obviously involved in a profitable industry although, one wonders what happened when the bottom fell out of the stock market ushering in the Great Depression. I had a look in Caroli's MI5 file, a severely redacted file of "selected historical papers". There isn't much in there and Caroli's name is always blanked out. He apparently told one MI5 officer (KV 2/30, no. 45b) that he had had rheumatic fever as a child and been bed-ridden for two years. The officer therefore considered it unlikely that Caroli could have subsequently lead the active life that he claimed: trekked across the "Eukon" (probably the Yukon, one of Canada's northern territories) in the middle of winter during a meteorological survey; participated in an expedition across Greenland and been part of an arduous Himalayan expedition. Caroli also claimed that he had been arrested in Russia and accused of spying, but proved not guilty and released. Quite the story. Whether any of this is true or not is debatable. In the late 1930s Caroli claimed to have worked as a journalist, even spending time in Birmingham and spying for the Abwehr before the war. He also apparently worked as a seaman and was found with a seaman's book in 1940. After agreeing to work as a double-agent for MI5 (in exchange for the life of his friend and fellow spy Wulf Schmidt (double agent TATE), Caroli (now double agent SUMMER) sent doctored wireless transmissions to Germany. He did not, however, handle his captivity well and in November 1940 severed both radial arteries in his wrists with a razor. He survived and was continued to be employed as a double agent by MI5. 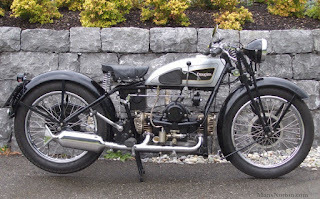 In mid-January 1941, however, he cracked again when he over-powered his guard and escaped on a stolen motorcycle. He didn't get far and was interned for the duration of the war. I also remember reading (somewhere) that Caroli had ongoing issues with his neck due to the wireless case smashing him on the chin when he landed by parachute in September 1940. Even after the war, he was trying to seek compensation (from the Germans or the Swedes?) for his injury. According to the MI5 files, Caroli was repatriated to Sweden on 25 August 1945 (KV 2/2593). On 24 November 1946, Gösta Caroli married Greyta (Greta) Bergmann (born 15 March 1914 in Bro, Stockholm) in Landskrona. A couple of years later, on 21 May 1948, the couple had a son in Landskrona: Claes Caroli (still alive). Claes married Kerstin Margareta Elisabet Larsson and the couple had two sons: Christian Nils Peter Caroli (born 1981) and Stefan Claes Gösta Caroli (born 1983). Stefan runs Camp Caroli, a lodge in Swedish Lapland which offers wilderness tours. 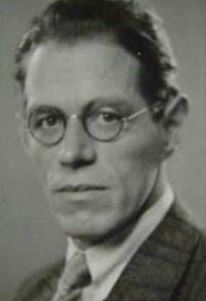 According to the Swedish Death Book (Sveriges död bok), Gösta died in Asmundtorp, Sweden on 8 May 1975. His wife, Gretya died 22 July 1975 in Asmundtrop, Sweden. There would seem to be incontrovertible evidence that Gösta Caroli was indeed sent back to Sweden, where he married, raised a son, and died in 1975. His son, Claes is still alive and apparently provided photographs of his father (Claes Caroli) to Tommy Jonason & Simon Olsson, the authors of Agent TATE: The Wartime Story of Harry Williamson. In their book on TATE, Jonason and Olsson reference an unpublished manuscript: "Gösta Caroli: Dubbelagent Summer". It would appear that this manuscript was published in 2015 by Vulkan press, unfortunately in Swedish. Agent TATE: The Wartime Story of Harry Williamson by Tommy Jonason & Simon Olsson (2011). P.S. The Nicola Valley Museum used to have a blog which had an article entitled: "Fox Farming: A Once Booming Industry in the Nicola Valley" (2013 02 20). Unfortunately, they have changed the hosting provider of their website and blog and the link no longer works. The Internet Archive Wayback Machine only archived the stub of the article, not the "Read More" part.